Thinning hair and female balding are a problem for many women. If you are going bald you HATE every moment of it, fear looking in the mirror, and just want it to stop. Justify that hair loss makes them look "more mature"
These options are not available to you. For you, thinning hair is highly embarrassing, and totally unfair in the first place. This is supposed to be a man's problem - not yours. But the fact is that many women have to deal with thinning hair and hair loss. Laser hair products have mainly been advertised mainly to men. Lasers are proven to give thicker, fuller hair, but have been mainly sold to men because they keep their hair shorter. 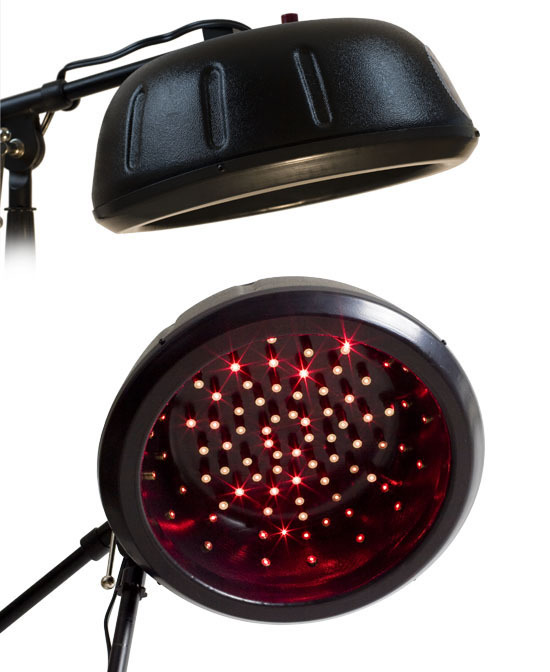 So it is easier to get the laser light to the scalp on men. This is why you see the laser brushes and other totally underpowered devices being advertised mainly to men. Women can occassionally get results with these, but think about it. Even with thinning hair, you have a lot more hair to get through before the light reaches the scalp. The good news is you don't have to live with hair loss. The Super Grow is the most powerful home laser available to you, and gets results. Powering through even the thickest hair, the Super Grow Super 90 reaches any scalp and bathes it in invigorating laser light. The balding spots have no place to hide. The Super Grow Super 90 works wonderfully on women. A large number of our customers are women, who have had great success in helping their hair using the Super Grow laser. With your hair coming back in you'll feel confident again, and you won't have to hide your hair. 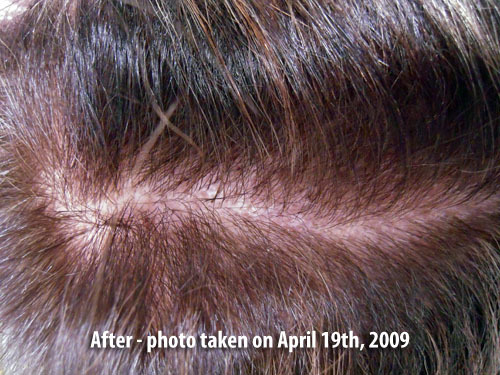 While hair transplants are common among men, female hair transplants are more rare. They are done, but not as often as on men. Read a full discussion on the female hair transplant option here. Many women have reported thicker, fuller hair with our lasers; see our results page. However not many women want to talk about female hair loss. But following is the transcript of an interview with a woman named Christine, who was kind enough to let us publish our discussion. Super Grow: I got an email from Jeff and he said that you had a pretty good testimonial on your use of the laser. Super Grow: What was your experience? Christine: It's been great. I actually did a lot of research. I used to see a physician who offered a laser machine that, apparently he went to Italy and whatnot - and your particular machine has the same amount of nanometers but it has like double the lights that his has. It's definitely worked — I've seen a huge difference in term of it's stopping, and a lot of the regrowth. And especially this time of year right now where, you know, this time of year you tend to shed a little bit more. I haven't had a problem. My problem was primarily stress related. I was having a lot of anxiety and stress over the fact that I was starting to look like I was starting to lose a lot of hair. Come to find out I had a hormone imbalance which I did not know of. So that's what was causing it. That's why I looked into the laser machine, because I wasn't really thrilled with the doctor that offered the laser at his office. He just wasn't a very nice person and he wasn't good for my self-esteem. So I just said there's got to be a way to get one of my own, keep it in my home and use it at my discretion. And that's when I googled and I came across the Super Grow. And I'll be honest I was really apprehensive because I was afraid to buy something online because you don't know if you're going to get just like a bag of lights. I was really, really nervous about that I'll be honest. But I did a lot of research. Even then the doctor at the chiropractors office that my sister works for — they're very pro lasers, all different types — and I gave him all the information and they buy like state of the art laser equipment for, you know, different reasons. He said that I did a very good job in terms of my research and that the Super Grow was probably a really good way to go. The only other thing I could say is that I did start a medication to help with the hormone imbalance. That could be a reason too that I've seen a huge difference. But I've done the laser before this and it did work as well. I was doing it through that gentleman — that physician. So I believe in them. I have had success anyway with them, and it's just nice to know that I have my own. Super Grow: Well, that's terrific. Would you mind if I use what you've said on the website? Christine: No, that's fine. And I will say this. Honestly, Jeff's been really great. Every time I called I was afraid I was going to get — 'no longer in service.' You do get very nervous about scams. And Jeff's been really great. I recently had a problem with my machine because it wouldn't go on. The button — I'd press the red button and all the sudden — nothing. He was like "You know that" - I want to say the AC adaptor, he was like, "is the green light on?" and I'm like "No." So he sent me three new ones and three extra cords — he was really great he shipped it right out. I got it within two days. So that was — you know, the customer service has been really great too. Jeff was very considerate with me asking a lot of questions in the beginning. So I've been really happy with dealing with Jeff. But it's also nice to know too that, with the laser, it's gonna help with whether it's a hormonal issue, a medication issue or just a genetic — androgenic alopecia. You know laser therapy helps to fight all of those agents. That I know and I'm comfortable with. I was in pharmaceutical sales for about eight years with Johnson & Johnson. So I needed all the clinical studies and I wasn't sure about all this. And if I hadn't experienced it for myself I probably would have never believed it. What causes female hair loss? This is usually the first thing you want to know. The article linked below tells you all about the causes of female hair loss. Read a full discussion on the female hair loss causes here. Thank you for your email and suggestions. I really appreciate all the support you have given me over the past few months. As I said on the telephone my hair is showing some progress with the "peep fuzz" filling in the receding hairline. What really amazed me was a hidden bonus I got from sitting under the laser lamp. I was looking at my face in the mirror the other day and I thought I looked better than usual and realized the laser light eliminated some of my forehead wrinkles!! What a pleasant and unexpected surprise. I also enjoy the half hour I take out of my day to sit under the lamp. I never was one for meditating but sitting in a comfortable chair in a quiet house can be quite soothing. I feel as if I bought my laser light from a neighborhood store, thank you for this personal service. P.S. Feel free to use my letter as an endorsement. Women are best served by our 90-laser dome. This gives women the best coverage, which is needed since women have to cover the whole head. 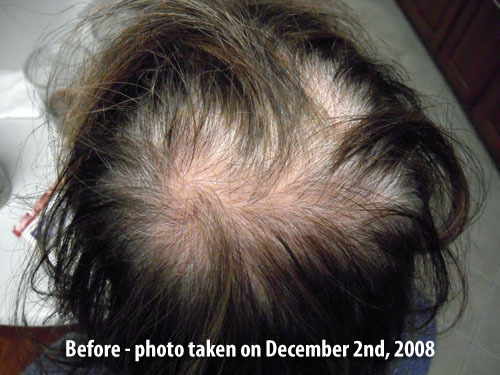 While male pattern baldness is on the top of the head, female pattern baldness requires more thorough coverage. Thicker, fuller hair can be had with our two-panel 50 laser system, but it doesn't give the all-over coverage women really need for the best results. The 90 laser dome is really the best option for women.